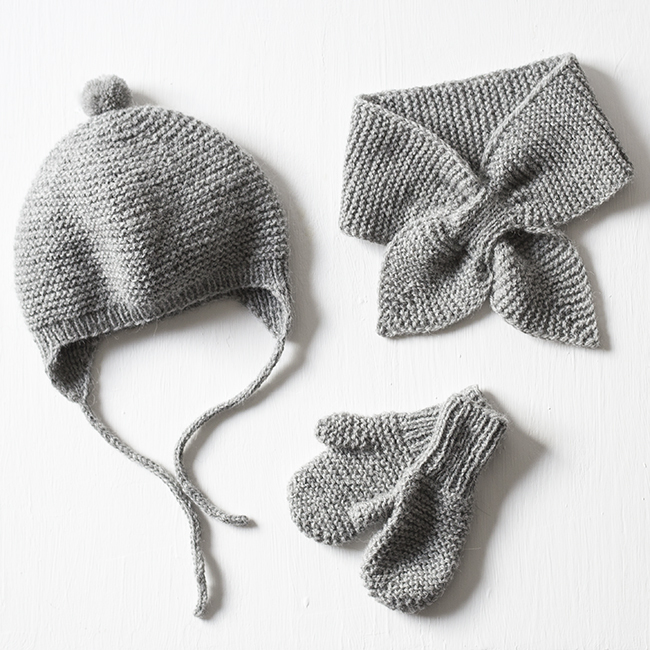 The last of the tussilago baby accessories patterns is finally released and I think this might be my favorite of the three even if I think they all look best together. 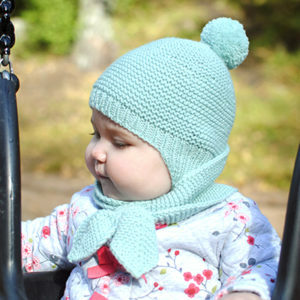 Tussilago hat is a helmet style earflap hat in the size range from preemie to 49 cm head circumference and is intended to work for children 0-2 years just as Tussilago mittens and scarf. 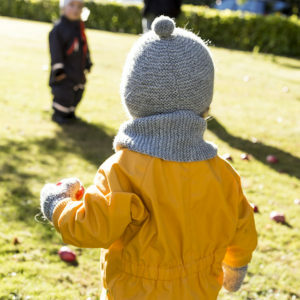 Photo credit for the turqouise goes to Maria Magnusson, Pysseloch knåp who test knitted the hat and scarf and took this lovely picture. 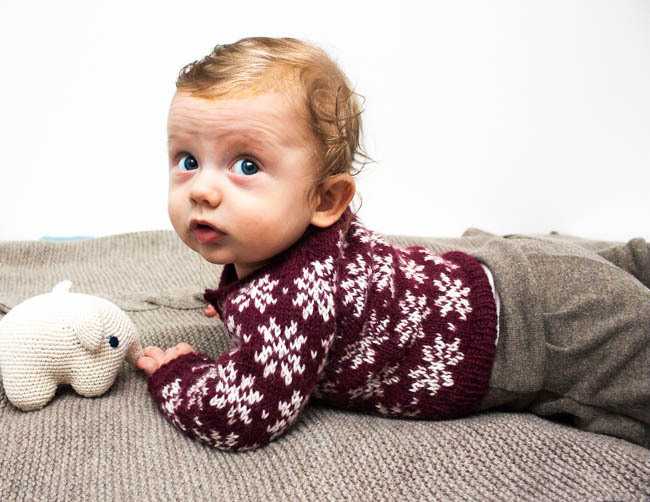 This entry was posted in Patterns, Yarn and tagged alpaca, baby, babyknits, docksjo, free knitting pattern, handmade, hat, knit, knitted, Knitting, knitting pattern, Wool, yarn on October 18, 2016 by Nicolina Lindsten. New patterns! The new Tussilago Baby Collection is available for pre-order. 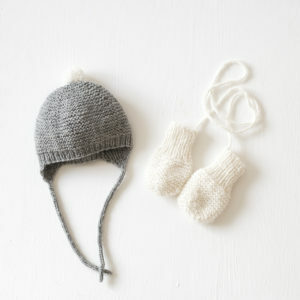 You will recieve the Mittens pattern right away and the Scarf and Hat within a couple of weeks. 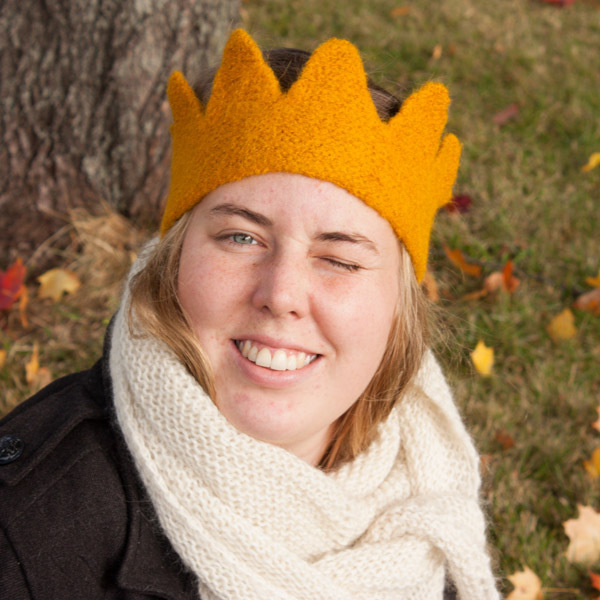 As a special release offer you can get the entire collection for the price of one pattern until Friday October 7. 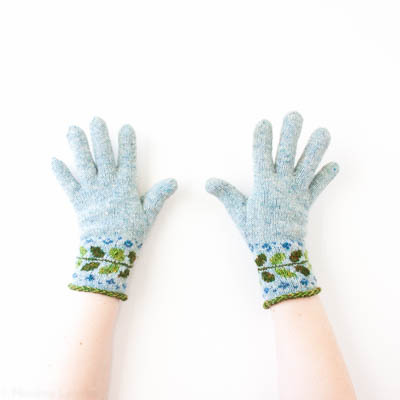 I really hope that you will enjoy these patterns as much as I do.They are quick to knit and simple, but with a flair of elegance that makes them just as pretty as easy to make. 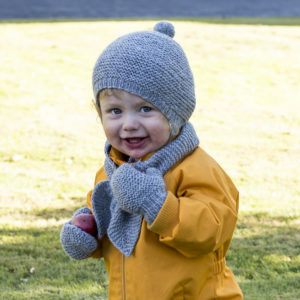 This entry was posted in Patterns, Yarn and tagged alpaca, baby, babyknits, docksjo, free knitting pattern, hat, knit, knitted, Knitting, knitting pattern, mittens, pattern, scarf on October 1, 2016 by Nicolina Lindsten. I’m finally well enough to work a bit again, after a month of quite horrible exhaustion and stomach ache, it was never anything serious but the effects were quite extensive anyway. 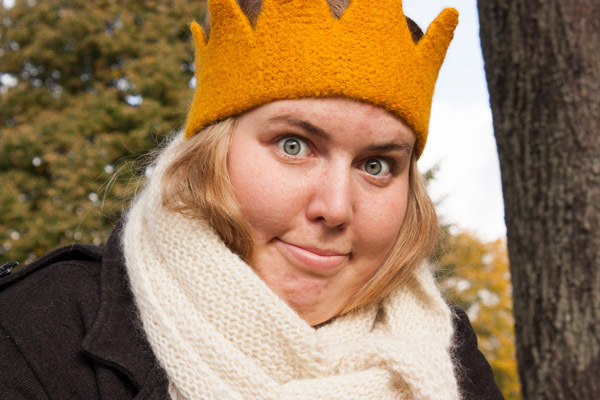 So now that I’m back I finally edited the photos from the blåbär waistcoat photo shoot over a month ago. 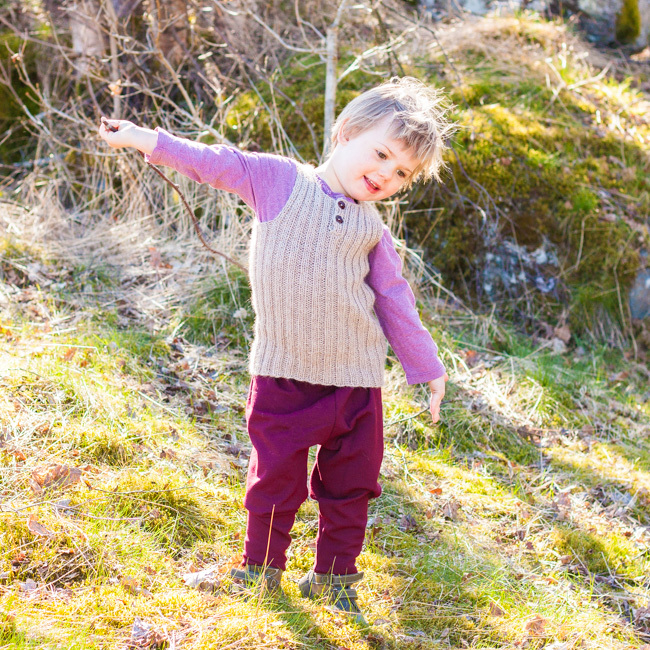 This is my friend’s awesome kid wearing Blåbär waistcoat knitted in Organic Knitters Alpacka and a prototype for a trouser pattern I hope to release this autumn. 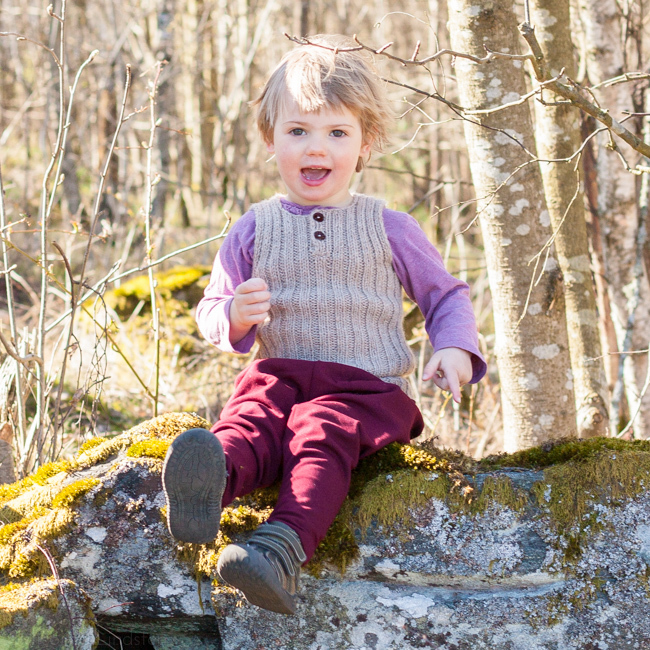 The only issue we had this day was that she really wanted to keep the waistcoat. 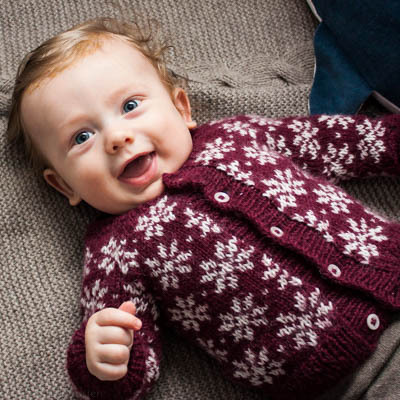 This entry was posted in Patterns, Yarn and tagged alpaca, baby, babyknits, handmade, knitted, Knitting, knitting pattern, pattern, top on May 25, 2016 by Nicolina Lindsten. 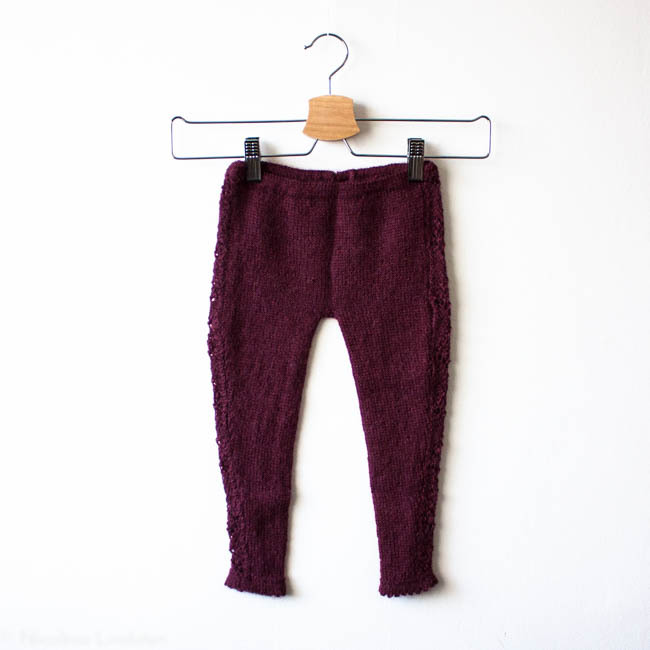 I made a pair of leggings using some leftover red alpaca yarn. It was meant to be held double with the thicker alpaca I used for the red Saffran cardigan but in the end I only used the thicker alpaca and had this left over. 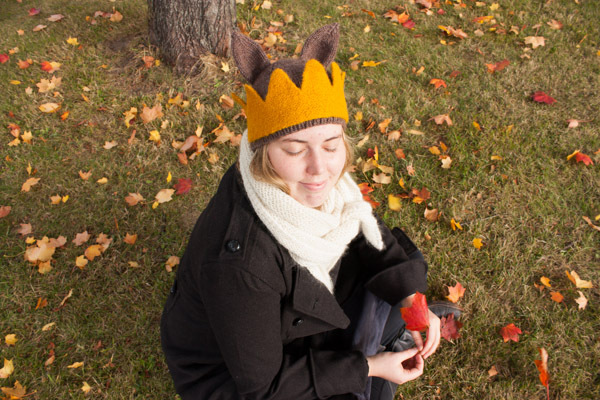 I used Paelas Haverdags thighs pattern and made a 3 year size. They have a beautiful lace pattern going up on each leg that doesn’t show very well in the picture but they are really pretty and will be a great complement to all the sweaters in the chest with clothes for future children. 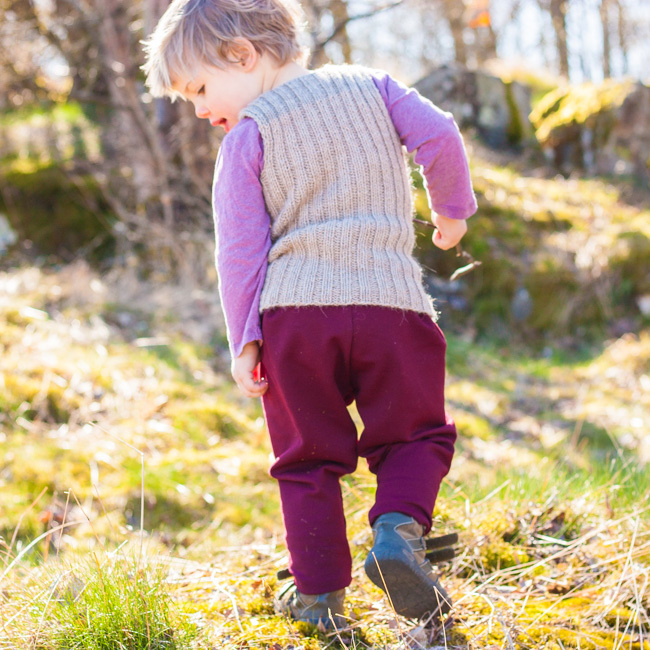 The pattern features fold hems both at the waist and the ankles and I inserted clear elastic in the waist to ensure that they stay up despite running around and playing. 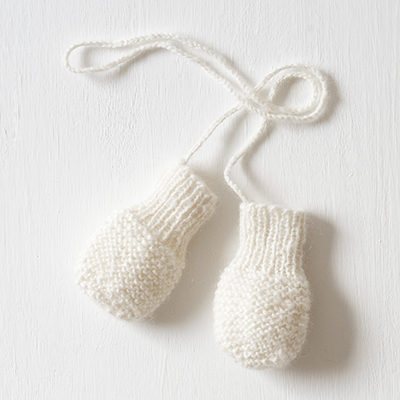 These are so nice I almost want to knit myself a pair of alpaca stockings, but knitting stockings for a pretty big me doesn’t sound that fun. 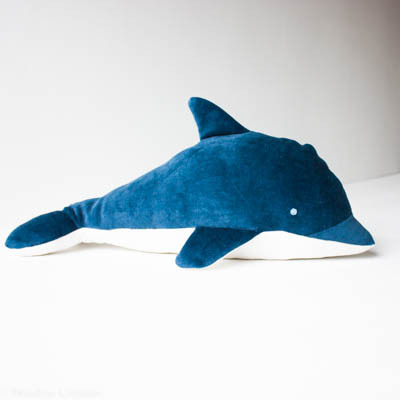 Have you made anything like this in adult size? 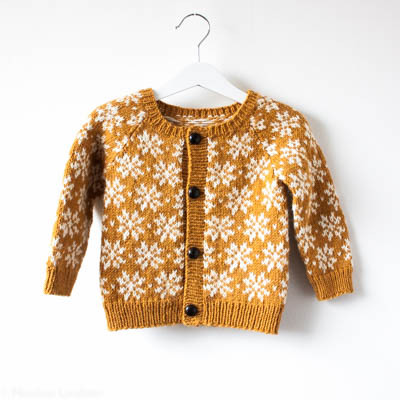 This entry was posted in Yarn and tagged alpaca, children's wear, kids wear, knit, Knitting, leggings, mini alpakka, sandness garn on January 25, 2016 by Nicolina Lindsten. 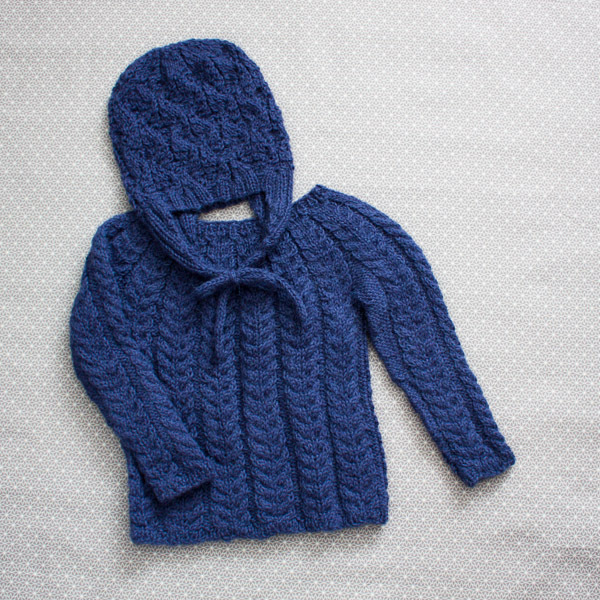 This new super cute cardigan is just perfect for the colder months, the size range is newborn – 2 year more will come but in order to get this pattern out in time for holiday knitting that will have to come at a later point. 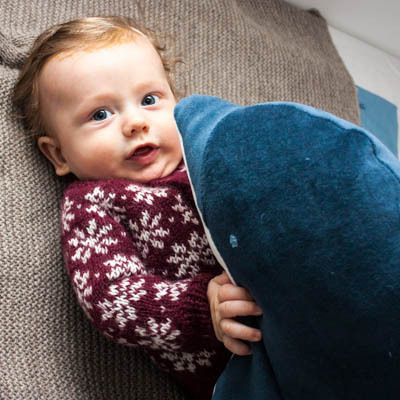 The pattern comes with a sewn in lining that you can attach to make it extra special if you want and the instructions describes how to assemble and sew in the lining. 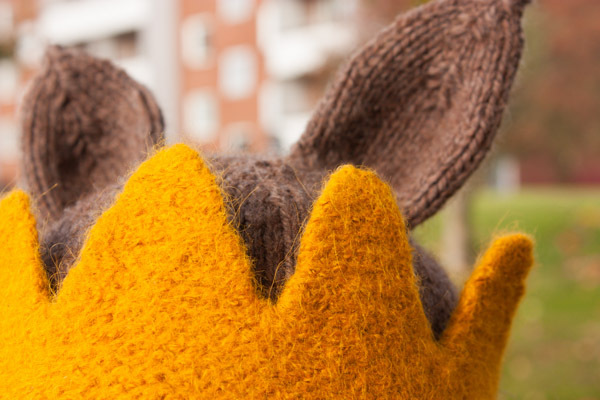 You if you don’t want a lining or aren’t that comfortable sewing you have the option of securing the steek with a ribbon instead as is the more common way of securing the steek. 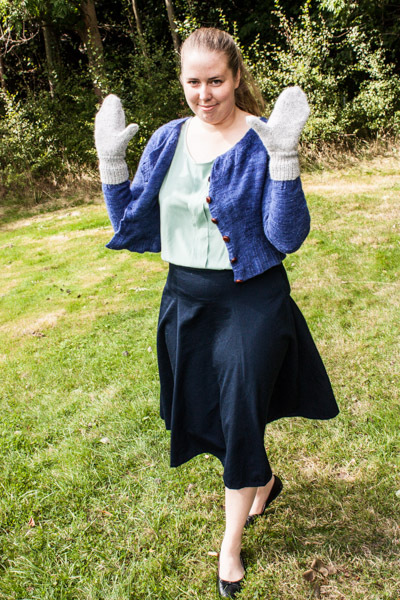 Check out the new pattern store or go directly to the pattern page for Saffran Cardigan. 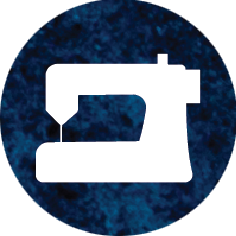 In order to be able to sell sewing patterns I have had to change my shopping system this is still in progress so there and at the moment 2 different checkout systems in the shop but apart from that every thing still works and is user friendly. 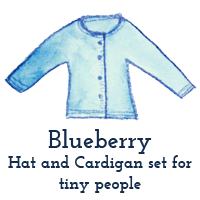 Go en check out the new store design, I have been going with sketches to my husband that have frantically been coding to get every thing to look as I want it to. 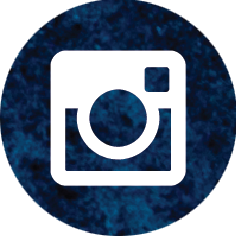 I think the new design looks very professional, tidy and much more in my aesthetic. If you prefer you buy knitting pattern trough ravelry so you can keep them in your ravelry library this is your last change all old pattern are still available through ravelry but will be removed and put in the new shopping system one by one as I go trough them. The first ones will go on Monday December 7th so you have this week. I think the new system is grate different but grate and the best thing it that I can sell sewing patterns, knitting patterns and notions in the same store which is a huge benefit. 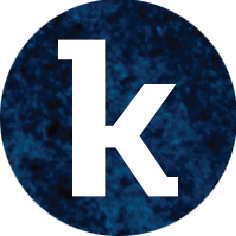 I have started a newsletter, it will come occasionally and with previews of new designs and coupon codes. It will most likely not come more then 2 times a month and you can unsubscribe at any time. 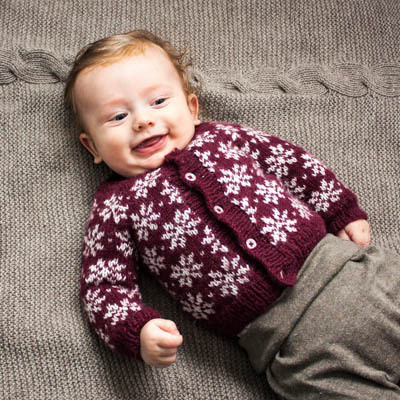 This entry was posted in Patterns, Yarn and tagged alpaca, baby knits, baby wear, color wrok, colour work, knit for kids, knitting pattern, Saffran Cardigan on December 1, 2015 by Nicolina Lindsten. 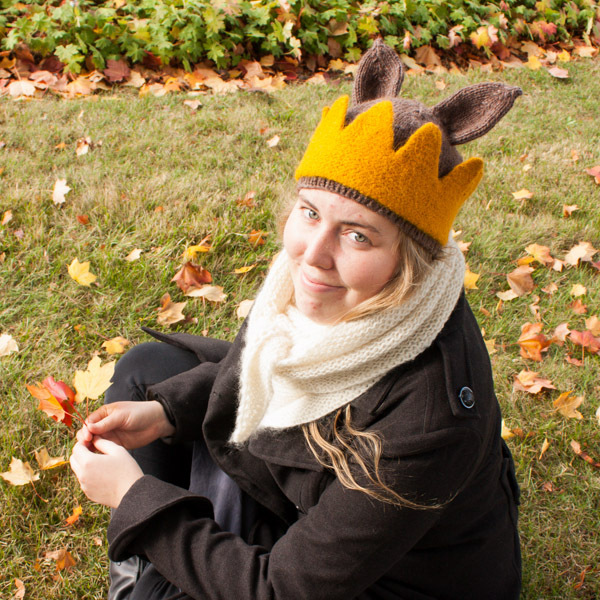 I made myself a new alpaca pullover. 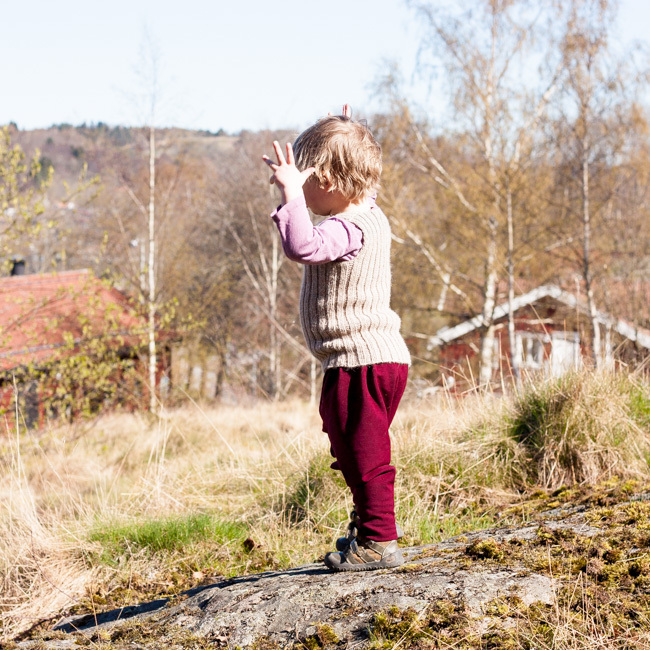 I used the kids pattern perlemorsgenser/mother of pearl pullover as inspiration and made myself some instructions. I used 12 skeins, 600 gram, 2004 meters of Drops Alpaca held double. 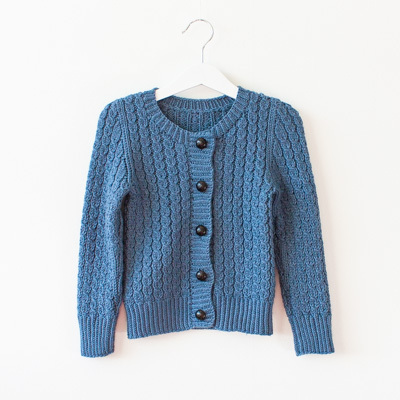 My cria cardigan was knit in this yarn and it was my favorite until I ruined it in the wash, so I think this will be loved and well used, coming this autumn. 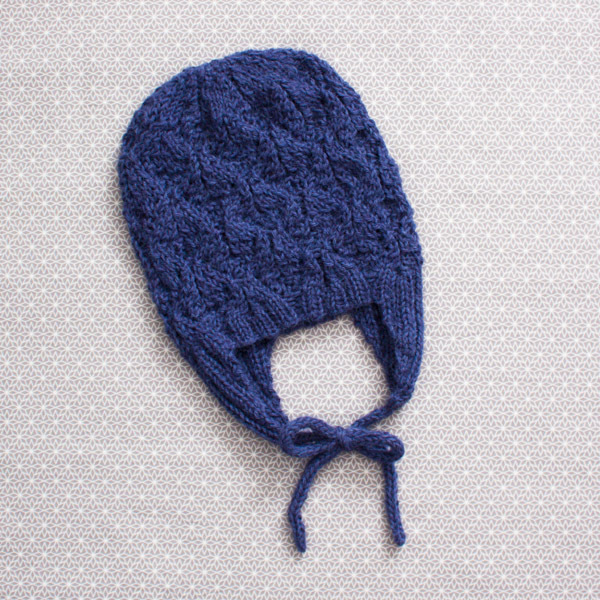 I really like the decorative cable and bobbles making the raglan shape the sides. I think it gives interest without being fussy and I think it will blend well in with all my separates. 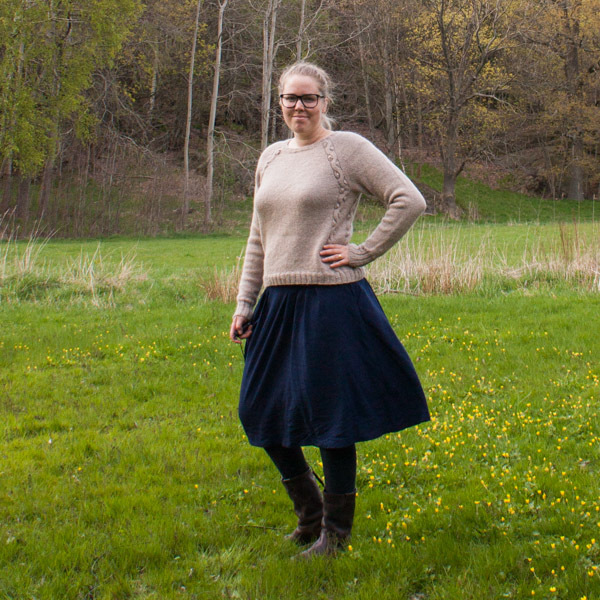 This kind of pullover doesn’t really work with dresses, it makes me feel like a big walking blob and I don’t like to feel like a blob. It will however be perfect with those trousers I’m planning to make. The colour is a mix of undyed natural shades of tan alpaca wool which gives depth to the colour and it will look amazing with the navy blue trousers I’m planning to make. 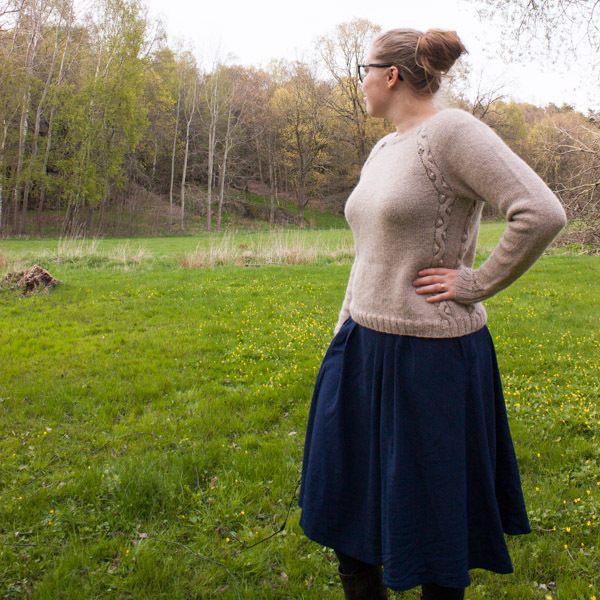 I have been building up a lot of expectations about this sweater since I decided to make it 6 months ago, it took some time to decide on a colour and it doesn’t completely live up to my expectations, mostly because I see now that raglan isn’t very flattering on me. 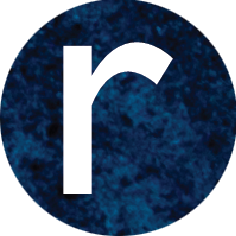 I see a lot of people wearing raglan, but how can I wear raglan well? I have broad shoulders and this is the result. 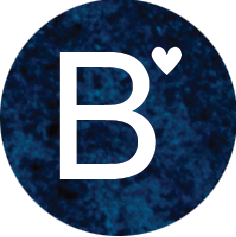 My beloved has narrow shoulders and look just as misshaped in it? Or is it the length that is the problem, maybe I should lengthen it a few cm. 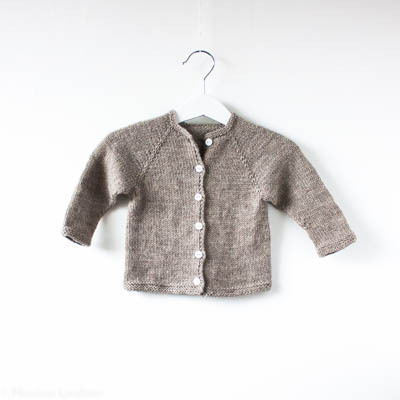 This entry was posted in Yarn and tagged alpaca, knit, Knitting, paelas, perlemorsgenser, pullover, sweater on May 22, 2015 by Nicolina Lindsten. 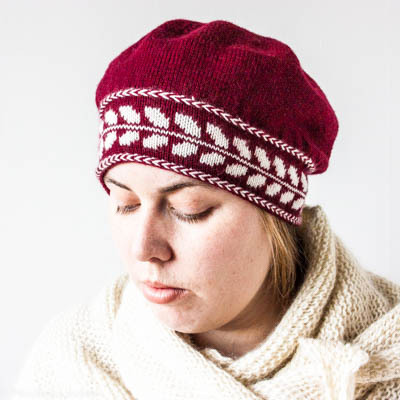 I made this Faunalue from most of my leftover from Snoningstrøje, this is another pattern from Paelas. 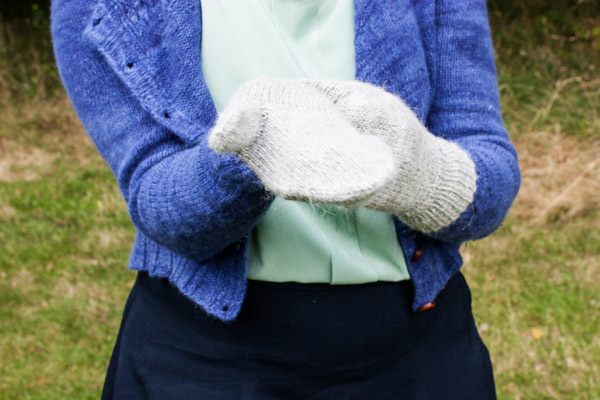 The lace pattern isn’t the most enjoyable to knit but I really like the look of the pattern. 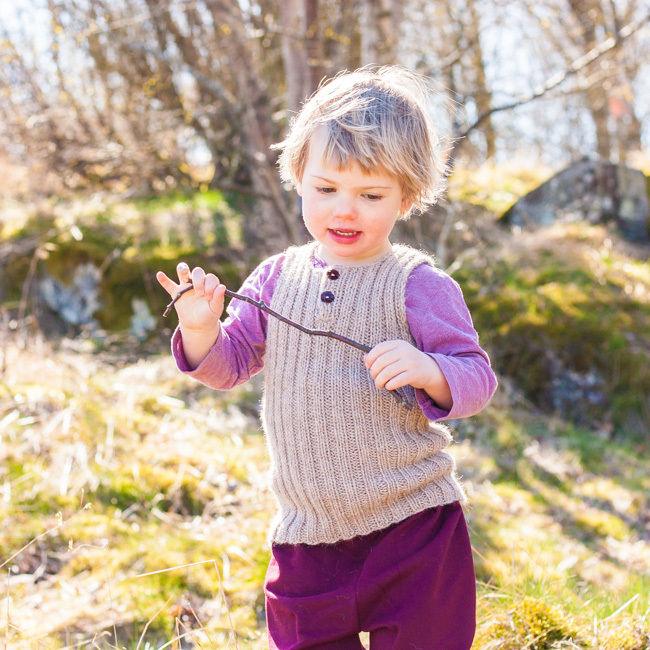 I used 45gram (99 meters) Sandnes Alpakka for the toddler size, which is on the thin side for this pattern, the colourway is 5563, the perfect blue/purple colour. The alpaca doesn’t show off the stitch pattern as well as merino yarn would, but I think it looks great this fussy way to. I really like matching sets, it always feels special. So now I only hope that they will fit someone at the same time. But we’ll see when that time comes. 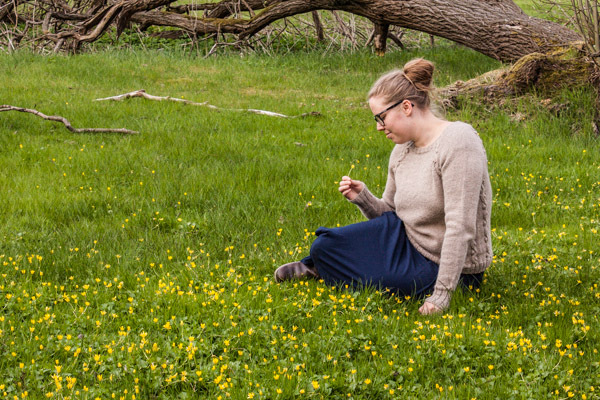 I’m also thinking of making more knits in similar colour that will coordinate well with all the little items I already have stored. 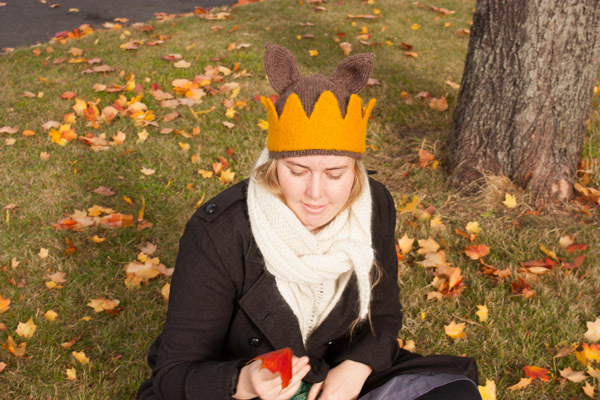 To make more complete sets without knitting all the pieces, so that all the little cardigans and sweater have leggings and hats or something that goes with it. 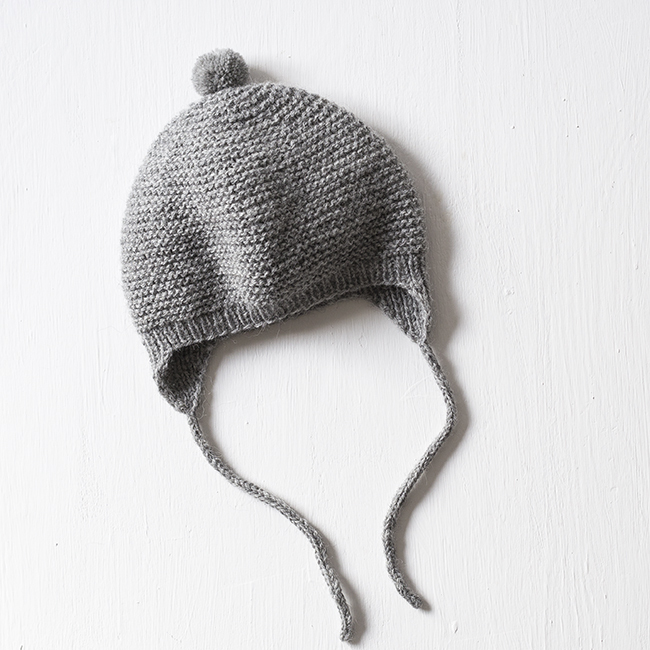 This entry was posted in Yarn and tagged alpaca, babyhat, babyknits, Faunalue, handmade, knit, Knitting, paelas, sandnes garn on January 10, 2015 by Nicolina Lindsten. 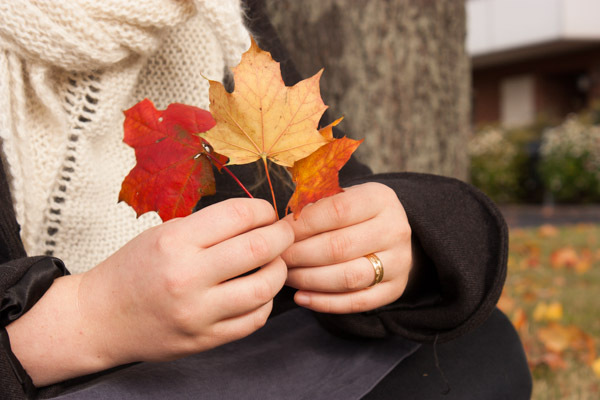 Preparing for colder times, even if it currently is very warm here. 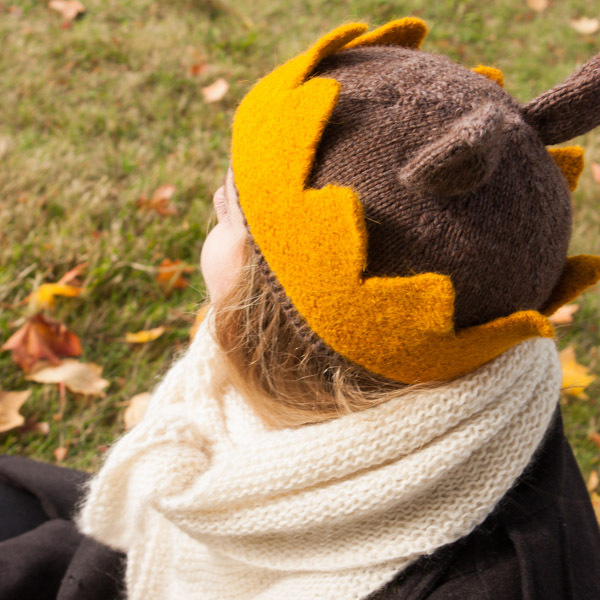 I have started to prepare for fall by knitting. 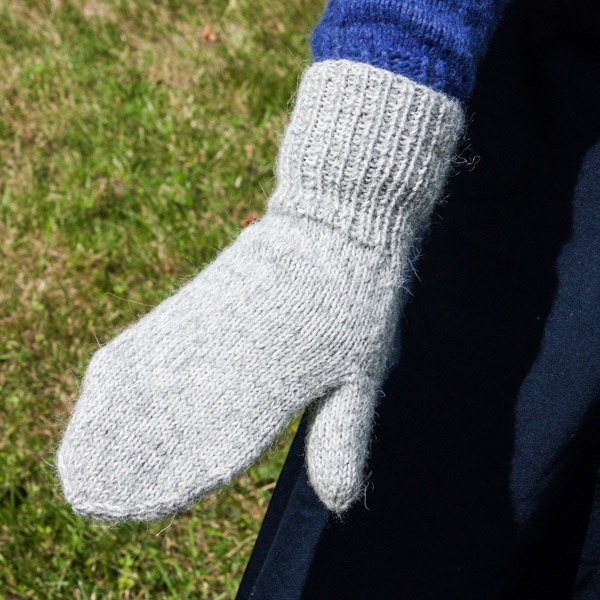 This far I have completed one pair of mittens, I lost my good biking mittens half way through the winter last year and never got around to making new ones as the bike needed repair as well. 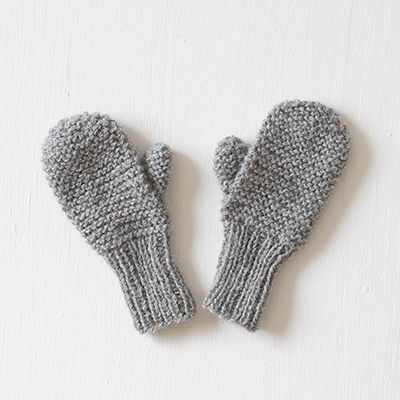 But now that I’m biking everywhere again new mittens will be necessary. They are made in Du Store Alpakka, Tynn Alpakka and the pattern is my own, made up as I go. As I usually do, I used two different shades of gray held together which makes it look more natural gray instead of dyed gray which it is. 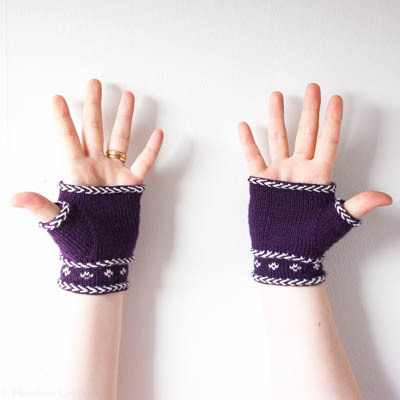 I used 3mm needles, 48 stitches for the main hand width and 100 gram is enough for one pair. * Then again after 4, 3, 3, 3, 2,2,2,2 then every row. It’s been quite some time since I finished and wrote this post but somehow photos have taken a long time to get, since the weather is no longer that brilliant that is was and the use don’t feel that distant anymore even if I hopefully won’t need that for another month. 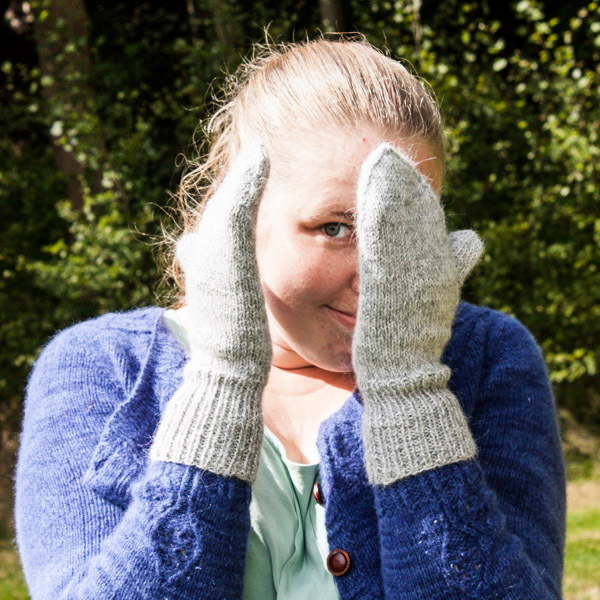 However I really like this type of mittens and according to ravelry this is my 11:th pair, most of them live with friends and relatives. 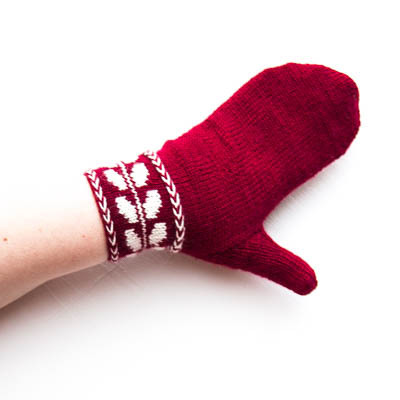 That said it is the perfect mittens for our climate most of the winter and they’re really quick so, make some for your self won’t you? 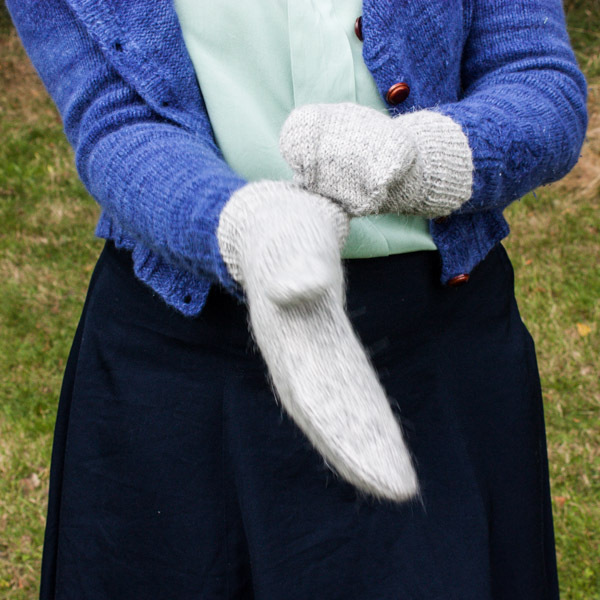 This entry was posted in Patterns, Yarn and tagged alpaca, alpacka, alpakka, du store alpakka, free knitting patterm, mittens, pattern knit on September 3, 2014 by Nicolina Lindsten. 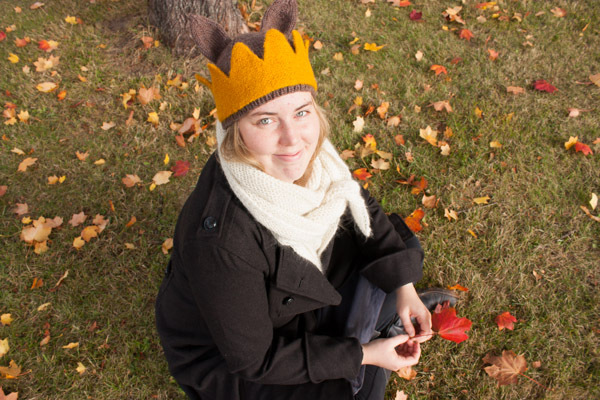 This is a hat and felted crown inspired by Where the wild things are sense I late at night bout the wrong pattern, so I improvised a bit instead and this is the result. 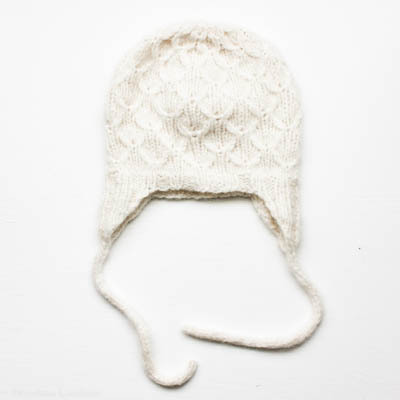 The hat is knitted in Artesano Aran 50% alpaca and 50% highland wool, I used 82 grams = 108 meters. 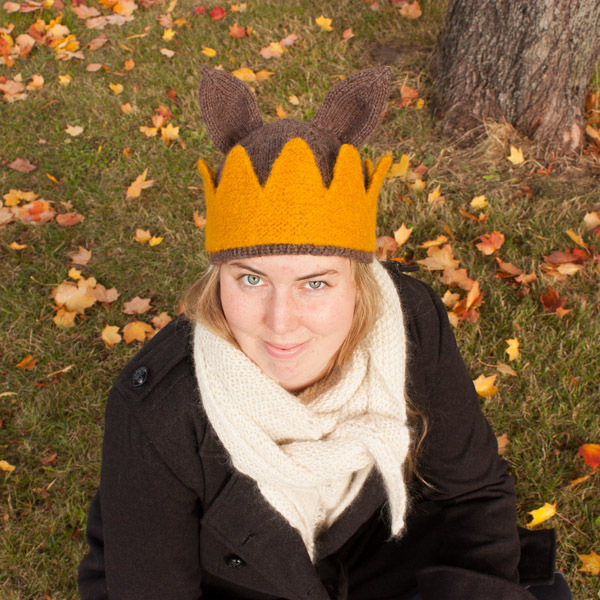 The crown is made in Hjertegarn Chunky 98%baby alpaca 2% nylon I used 67 grams = 87 meters. 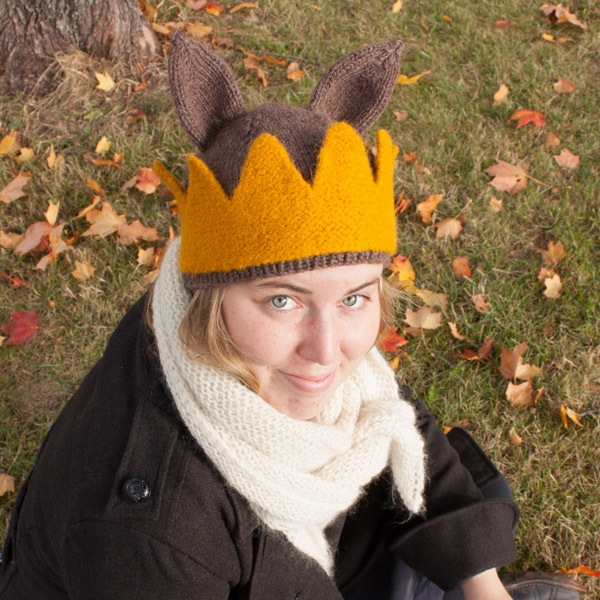 This entry was posted in Yarn and tagged alpaca, crown, deer hat, doe hat, hat, knit, Knitting, where the wild things are on October 9, 2013 by Nicolina Lindsten.